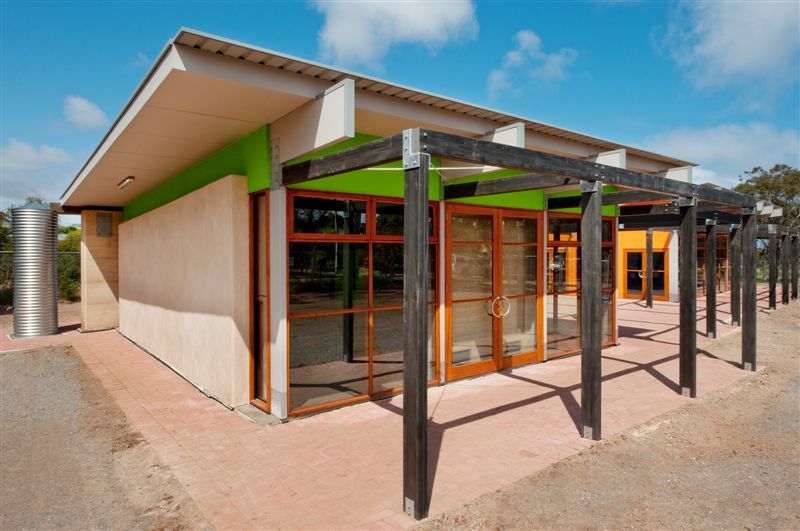 Christies Beach High School Environmental Learning Centre is a building designed to accommodate and provide practical demonstration for the educational programs focussing on Sustainability within the school. 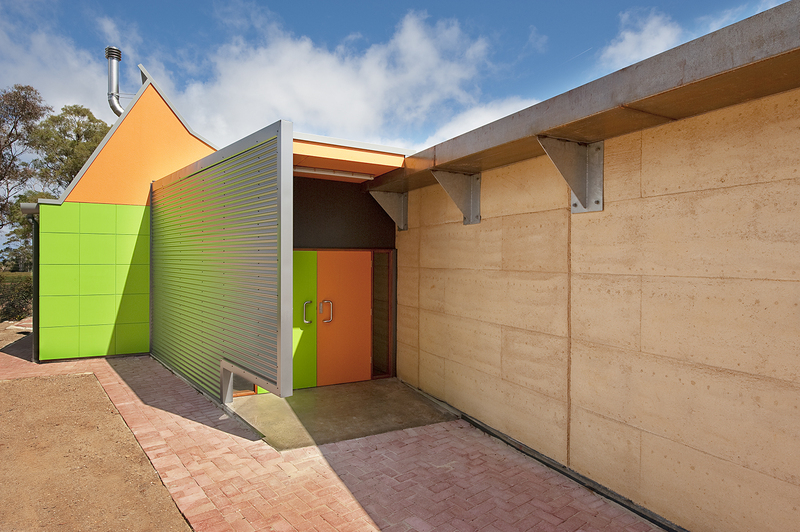 Situated on the northern boundary of Christies Beach High School the site was chosen for its proximity to the existing Yunggullungalla garden created by the School, enabling the educational program to encompass the natural environment as well as the built. In the past it has been the hub of the School’s environmental work. In addition to providing classroom space for students from all curriculum areas and year levels within the school, it also has also been used to host community forums and visiting school groups. 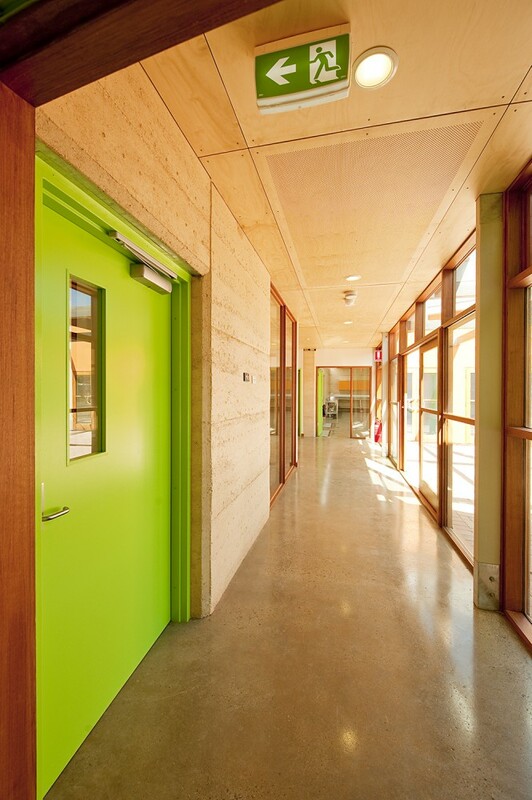 The building is constructed from a range of materials including rammed earth and straw bale; has systems including reverse veneer; and is fitted with earth pipes (tubes bringing air through the earth to modify its temperatures) and efficient heat pump heating and cooling, in which in floor and trench based hydronic loops and exchangers deliver heat and provide chill. A wind turbine is fitted and photovoltaic power creating a building which is “carbon neutral” in its operation. Anecdotal evidence suggests that the ELC provides a relaxed and enjoyable workspace. It seems to operate best from an educational point of view when it is opened up to link the inside with the outdoor classroom. 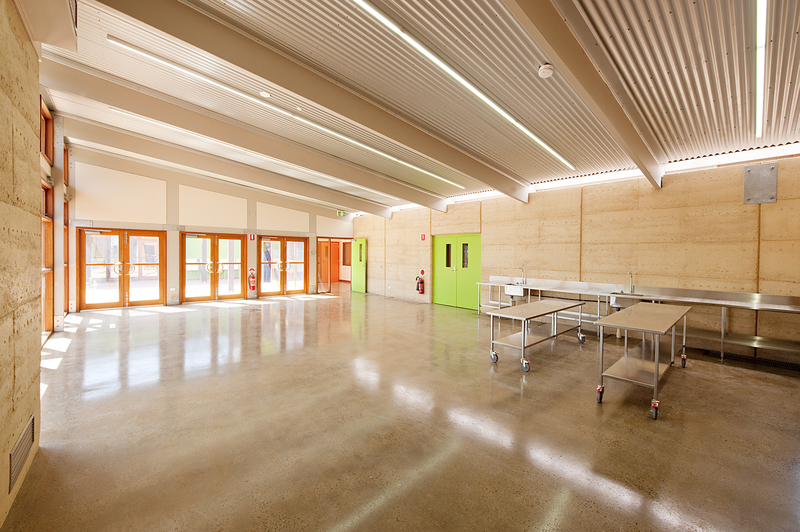 Sunlight illuminating the learning spaces and the use of natural materials have been cited as improvements of this design over more traditional classroom models. 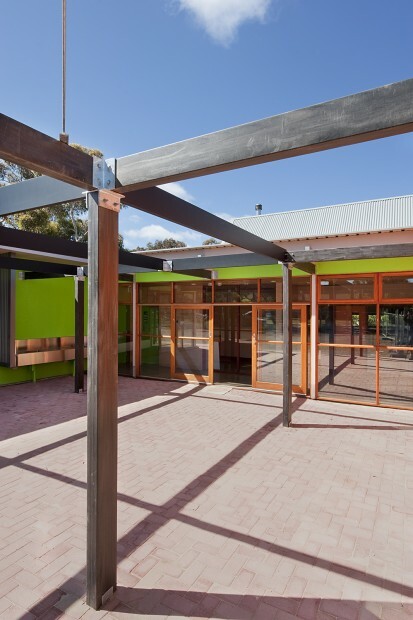 Energy Architecture was engaged by the school to provide within a two week period a sketch design, which was successful in achieving funding. This project is indicative of EA’s capacity to produce design and documentation for a complex and extremely efficient building, and deliver to the builder within extremely short time frames.